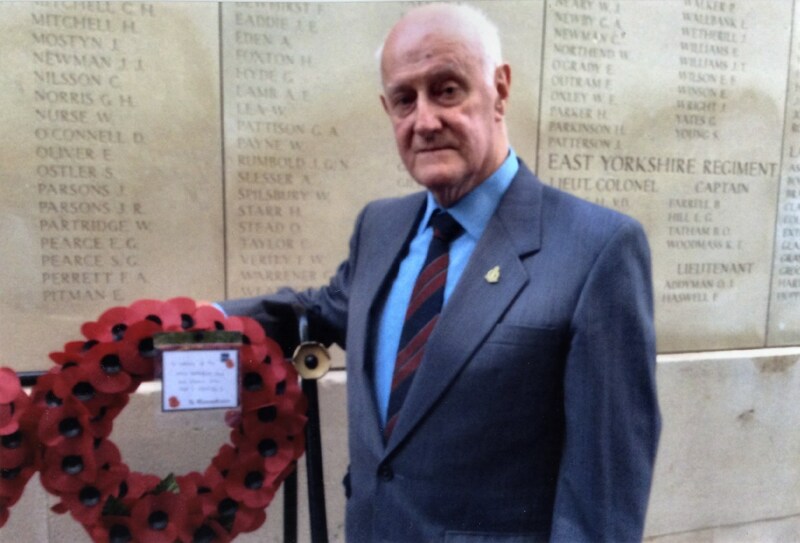 On a recent visit to Ypres to commemorate the death of Captain James O.W. Shine, Royal Dublin Fusiliers, in the battle of Paschendaele in 1917, one of our members, Jim Shine, took the opportunity to lay a wreath at the Menin Gate Memorial in remembrance of the one thousand and thirty Waterford men and women who died in World War One. The Menin Gate Memorial has panels on which are inscribed the names of fifty four thousand eight hundred and ninety six allied soldiers who died in the area and have no known grave. Another thirty five thousand are similarly commemorated at the Tyne Cot cemetery near Paschendaele in which there are twelve thousand graves of those whose bodies could be recovered.